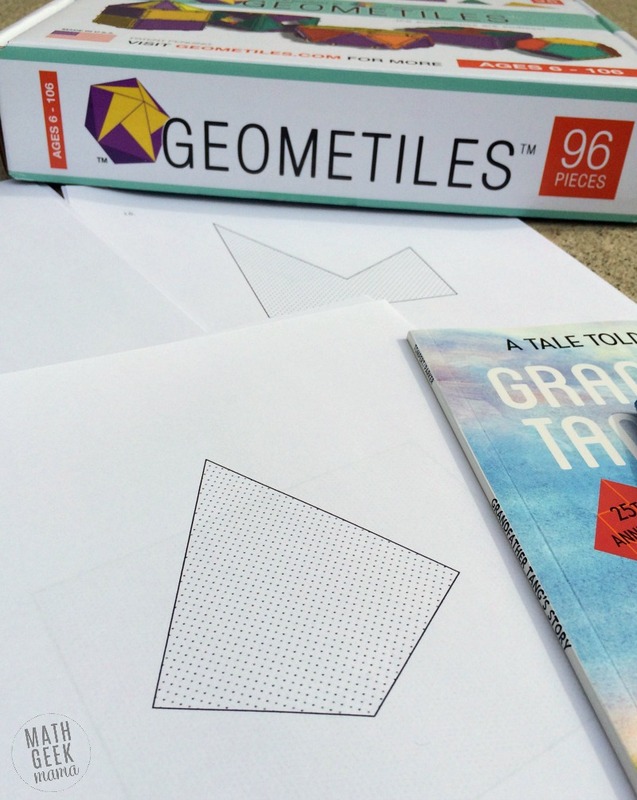 As I recently shared on Instagram, my kids have been having a blast with a new hands on math toy: Geometiles. If you’re not familiar with these blocks, read on, because they are a unique and powerful math tool. While there are endless possibilities for learning, today I’m going to share an introductory lesson we did about tangrams. Using Geometiles blocks and their unique tangram game printables, we learned about polygons, angles and had lots of fun playing with math together. First, if you’re unfamiliar with tangrams, let me explain where they come from. A tangram is a Chinese puzzle made by cutting a square into seven different shapes. These shapes include 2 large triangles, 1 medium triangle, 2 small triangles, a square and a parallelogram. You can then use these 7 shapes to create new polygons or fun pictures and designs. Plus, use tangrams to explore all kinds of math concepts including congruence, angles, area, perimeter, and more. 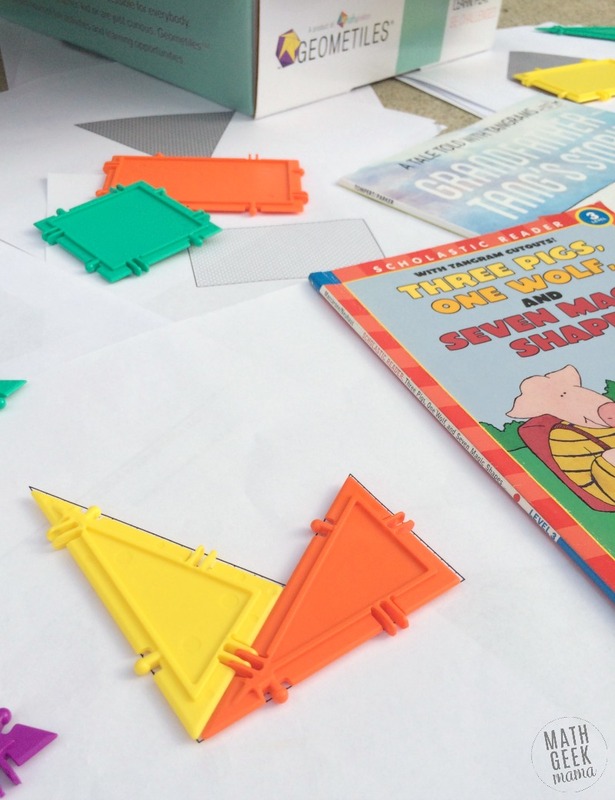 What I love most about tangrams is that, while they can be used to explore more advanced Geometry concepts, they are also accessible to the youngest math learners. This is why I chose to explore tangrams with my kids (ages 6, 7 and 8) using our set of Geometiles. 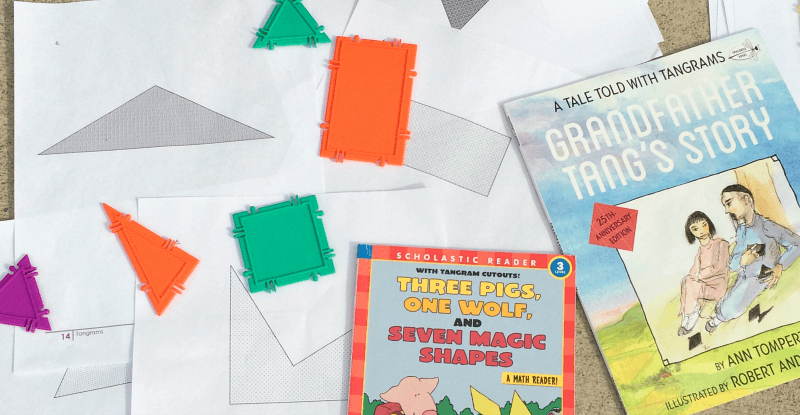 Before beginning our tangram game with Geometiles, I wanted to introduce my kids to tangrams with some stories. I love combining children’s literature with our math lessons, especially when it is something all of my kids can enjoy together. We began by reading two fun books: Three Pigs, One Wolf and Seven Magic Shapes by Grace Maccarone as well as Grandfather Tang’s Story by Ann Tompert. (We have these books, and my kids enjoy them both, but you could probably get them at your local library). This allowed my kids to see better understand tangrams, as well as some of the many possibilities of shapes and pictures. Plus, it paved the way for our tangram exploration, as we discussed how to use and manipulate the shapes. Yes! And that’s exactly what we did next. As I mentioned, we completed this tangram challenge using our set of Geometiles. What I love about this set of building shapes is that it is so much more than a toy. When we first received them, I allowed my kids to play, build and explore freely. And they did! They built all kinds of three dimensional figures, and really enjoyed the challenge of figuring out how to fit them together. 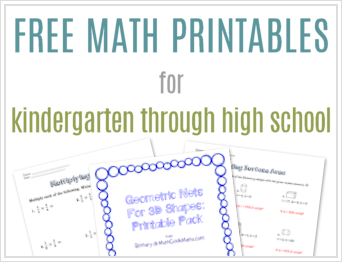 But what’s especially great for us as parents and educators, is that these sets come with complete workbooks full of hands on, engaging math lessons. All the hard work is done for you! Simply print out your lessons and begin! So after they were familiar with their Geometiles, I was ready to incorporate them into our math lesson on Tangrams. Note: You do have to register on their website to access the learning materials, but this is free and very simple to do. 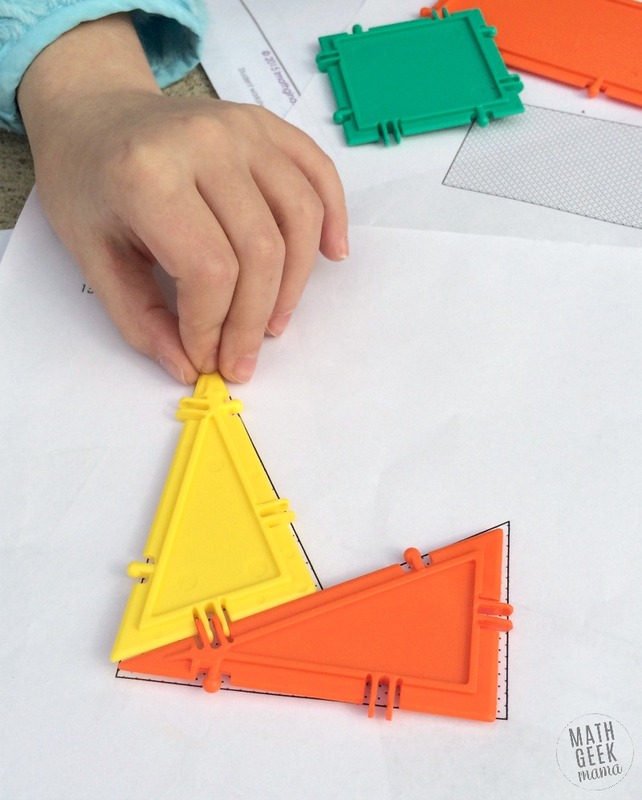 This set of tangram challenges is very thorough and includes directions, hints, teaching tips, answer keys and 100 tangram game challenges. The challenges get progressively harder as you go, so I started by printing the first 20 for my kids to try. This was perfect for them, and provided just the right amount of productive struggle. But believe me, the more difficult puzzles are quite a challenge, even for adults! Each page includes a shaded figure. The object of the challenge is very simple: completely fill the shaded figure without going outside or having any space left empty. Actually achieving that, however, is quite another story! This takes a lot of practice, especially for young kids, but I loved watching them explore together. There was such joy! But it was also great to see them challenged, helping each other, and talking about possible solutions. This activity fostered creative thinking and problem solving, as well as lots of great math talk. If you’re a classroom teacher, you will love the versatility and variety of math explorations you can do with a set of Geometiles. 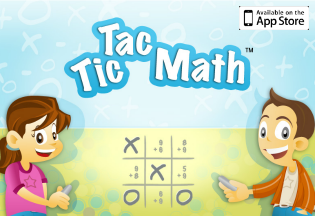 There are ready to use math lessons covering shapes, angles, fractions, brain teasers and more. 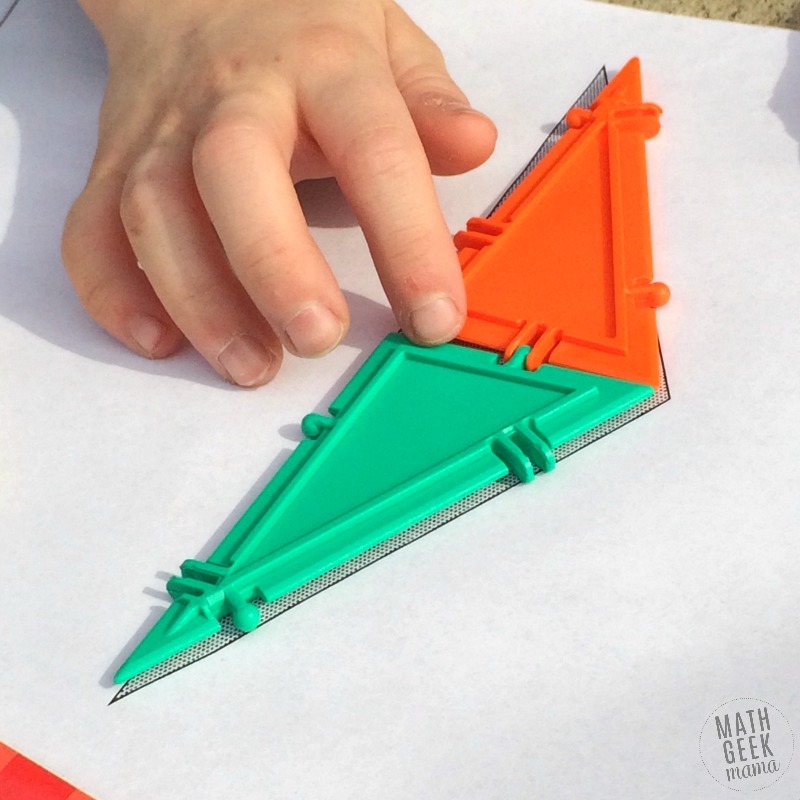 But this tangram activity would be especially great as a math center. Simply print the tangram challenges and laminate them. Then place them in a folder with your set of Geometiles and they’re all set! And the great thing is, they’re self-checking. Kids will know right away when they’ve correctly solved the puzzle. This would also be a great quiet, independent activity for early finishers. Simply have the materials together and ready where students can access them, and let them work through as many challenges as time allows. 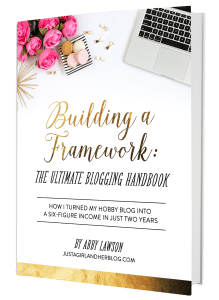 But this is also a great resource for homeschool families. I plan to print and laminate these to provide a quiet math challenge for my kids while I’m working with their siblings. Sometimes when I’m helping one child, the others finish their independent work and have to wait on me. This will be a great, productive use of their time while they wait! Get your own set of Geometiles here! What do you think? Have you used Geometiles before? 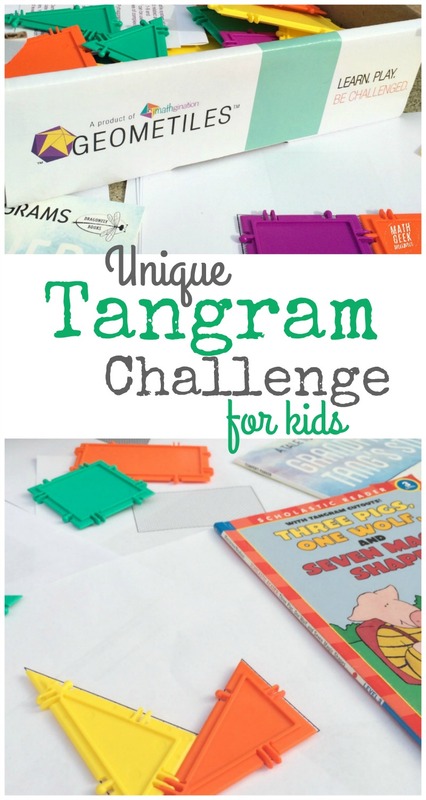 Are you excited to try this fun tangram challenge with your students? Share in the comments! Your posts are always so thorough and fascinating. Thank you, you’re awesome! Looks really fun, thanks for the review! No shipping to Canada (yet) so will have to wait until my next planned trip to the States. I’m truly thankful for your e-mails! I’ve decided this year to be purposeful in playing math games with my kiddos and you’ve given me so much to choose from. I also enjoy reading about you experiences and ideas!